"There are lots of these metallic meteorites, and now that we know what we're looking for, we might find evidence of volcanism in them," said researcher Francis Nimmo in a statement. "If material got erupted onto the surface, it would cool very fast, which would be reflected in the composition of the meteorite. And it might have holes in it left by escaping gas." "In some cases, [the object] would crystallize from the center out and wouldn't have volcanism, but some would crystallize from the top down, so you'd get a solid sheet of metal on the surface with liquid metal underneath," Nimmo said. What exactly the iron volcanoes might have looked like depends on the composition of the asteroid's molten material. "If it's mostly pure iron, then you would have eruptions of low-viscosity surface flows spreading out in thin sheets, so nothing like the thick, viscous lava flows you see on Hawaii," said graduate student Jacob Abrahams. "At the other extreme, if there are light elements mixed in and gases that expand rapidly, you could have explosive volcanism that might leave pits in the surface." 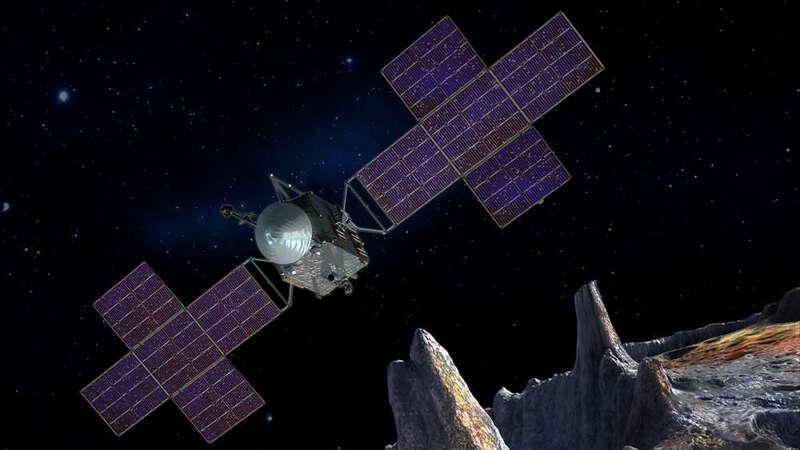 NASA's Psyche probe is expected to make it to the asteroid in 2026. Meanwhile, the team’s study has been accepted for publication in Geophysical Research Letters.